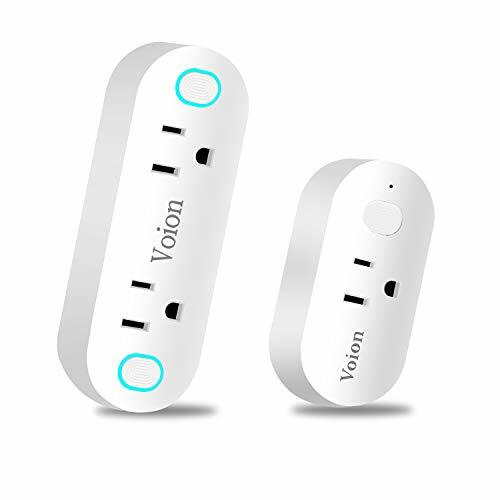 Voion wireless plug wifi socket is compatible with Amazon Alexa, Google Home. You will easily control the connected devices by voice. Voion smart socket mini is easily controlled by Smart Life app with your smart phone, whenever, wherever. 2.Compatible with Android 4.1 and higher or iOS 8.0 and higher. Voion aims to reach the highest limits of customer service excellence! If there is ANY REASON why you are unhappy or unsatisfied with any of our products, we guarantee you a replacement within 12 months.